The next morning, a quiet but hot Sunday, I figured that I wanted to explore a little bit of Singapore away from the beaten track. I had been to most of the popular tourist areas before, so I asked my colleagues whether there was a quirky, different place that’s not too difficult to reach. 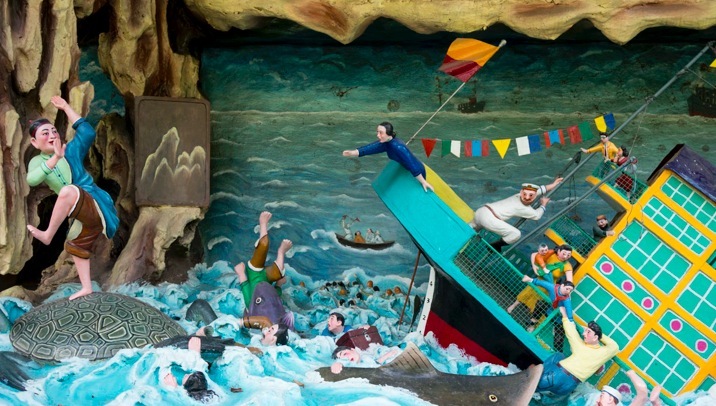 They recommended Haw Par Villa to me, which is also called the Tiger Balm Gardens. It is called a theme park, but I don’t know if that’s the right way to describe it. 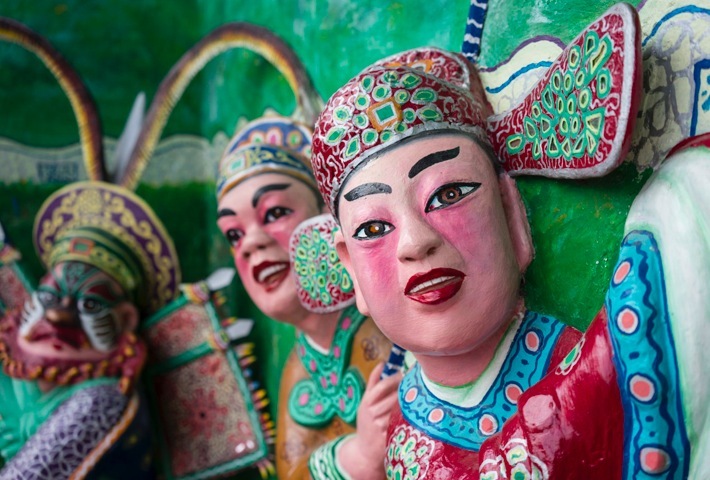 It is a park that contains over 1,000 statues and 150 giant dioramas depicting scenes from Chinese mythology, folklore, legends, history, and illustrations of various aspects of Confucianism. It must be a one-of-a-kind park – I’ve never seen anything like that before. 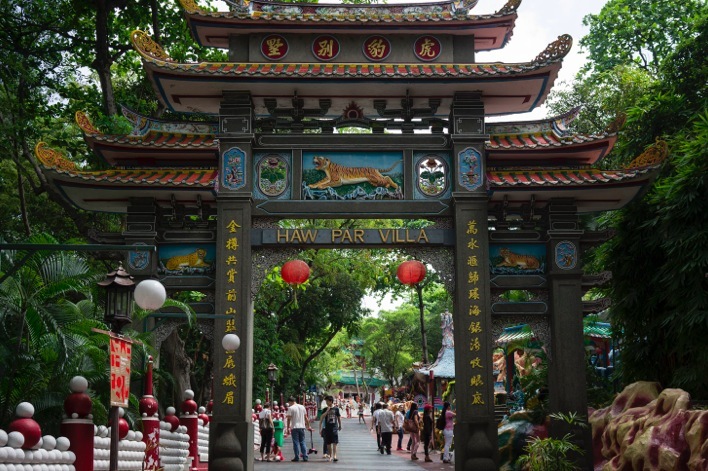 It is easy to reach, there is an MRT station called Tiger Balm Gardens and from there it was just a short walk up the hill to enter the park. 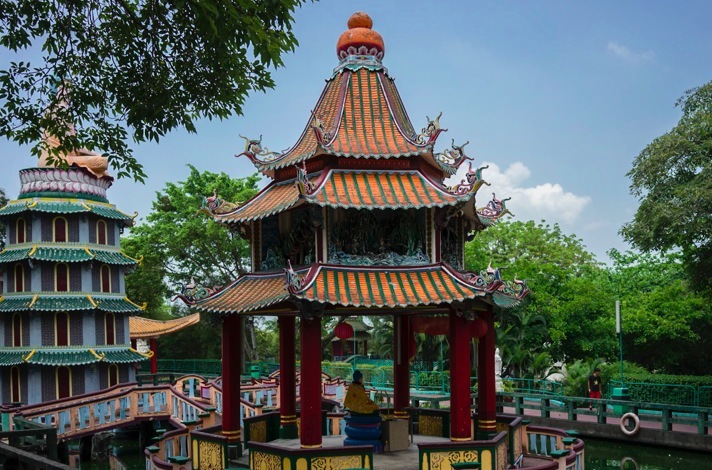 It was originally called “Tiger Balm Gardens” because it was built in 1937 by the Burmese brothers Aw Boon Haw and Aw Boon Par, the developers of Tiger Balm, as a venue for teaching traditional Chinese values. That’s where today’s name comes from, it is based on the Aw brothers’ personal names – “Haw” and “Par”, which literally mean “tiger” and “leopard”. 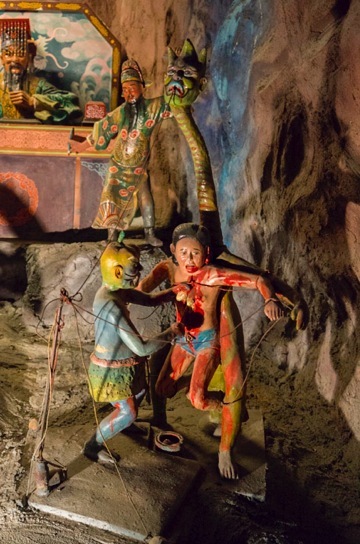 The statues and tableaux are gory, but they were meant to be a lesson in morality, reflecting the brothers’ beliefs in the values of filial piety. Among the statues are brief glimpses of the brothers’ lives. There are photographs of the old villa and their quirk collection of cars – one was even painted with tiger stripes and a tiger head fashioned out of metal mounted on the bonnet. 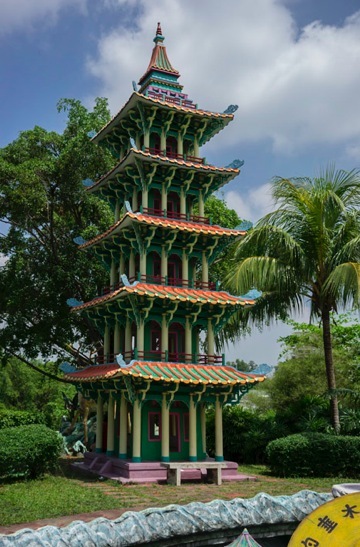 Boon Haw tore down the original villa when Boon Par died in 1945 and the park was turned into public property to impart the values of the past to modern Chinese. There is also the famous Ten Courts of Hell. 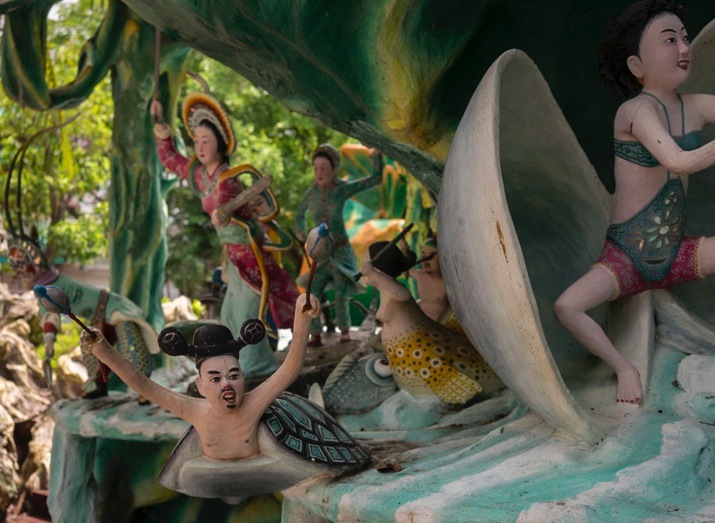 According to Chinese mythology, a soul must pass through ten courts of judgment, before being allowed into heaven, and Haw Par Villa has very detailed representations of these trials. As you’re about to see, they are not pretty. If you want to find out more about this park, check out these blog posts by Anja from Curly Traveller and YQ Travelling. It is a quiet place, with lots of shaded area – and as it is free of charge, it makes for a nice place to have a quiet picnic! Shame I didn’t bring mine along! 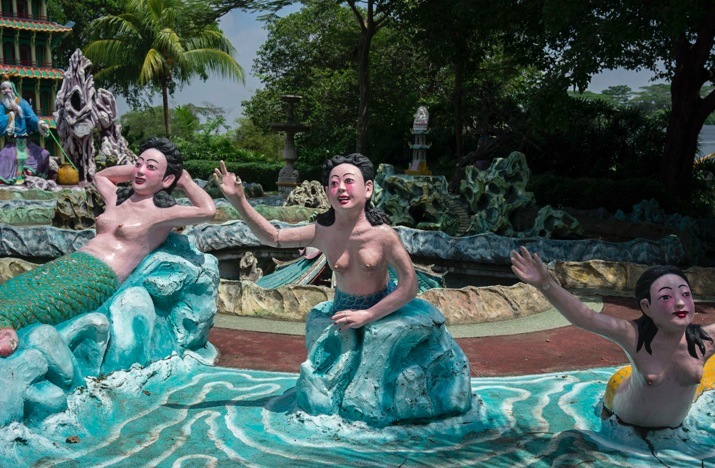 Lovely to read about your visit to Haw Par Villa, my favorite place in Singapore. Also thanks for mentioning my blog and for pointing me to the blogpost by YQ Travelling, which was an interesting read. 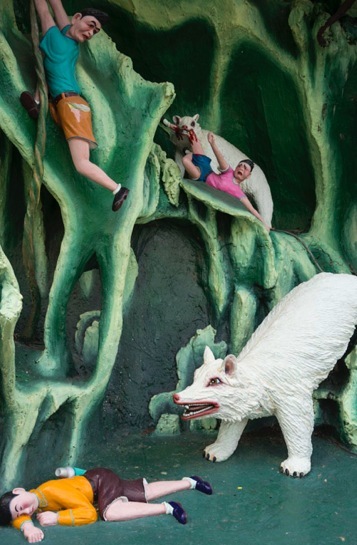 I used to live near Haw Par Villa when I was younger. It was kitsch yet so fascinating to see. The gory scenes of the 10 levels of Hell probably convinced me to be less mischievous!